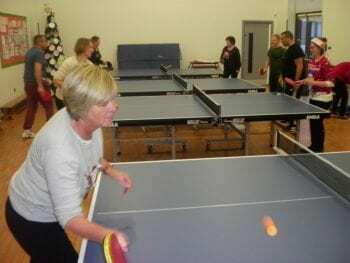 L aleham Gap Table Tennis Club Receives Double National Recognition! 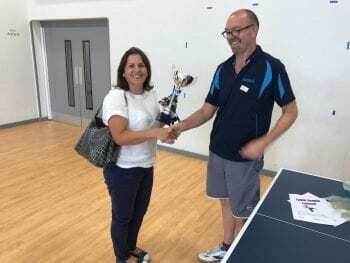 Staff at Laleham Gap School are this month feeling extremely proud and celebrating getting national recognition for their staff table tennis club from two sources! The club has received national accolades from Table Tennis England and ‘The Teacher’ magazine for the amazing successes of the club. Table Tennis England were so impressed by the results Paul has achieved with the club that they have cited the Thanet club on their website as a reason why other workplaces should set up a club and as a model how to go about it! The facts speak for themselves! 40 staff have attended. 79% say it has improved stress levels.74% cited improvements in physical health and 100% said it was good for social mixing and fun! When they heard about it ‘The Teacher’ magazine (the magazine of the teaching unions) decide to get in touch and have run an article advocating the Laleham Gap club as a way to combat stress in schools. So successful has it been that on the day the magazine came out a Headteacher from Norwich contacted Paul wanting advice on how to set up a club like the Laleham Gap model. If any workplace is keen to follow Laleham Gap’s lead, Paul would be happy to help. Just contact us here and we will pass on your details. 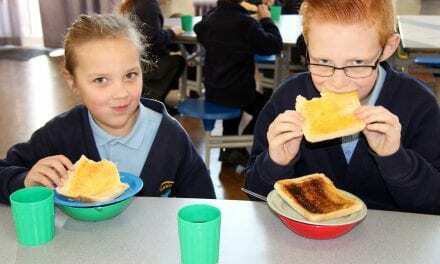 Thank you to Laleham Gap School, for sending us your press release. It is so important to wind down after a busy day at work and Laleham Gap are proving that table tennis is a terrific way to do that! We’re looking forward to hearing and sharing more of your positive news about the activities your staff and students are involved in. NextGDPR – How Does it Impact You and Us? 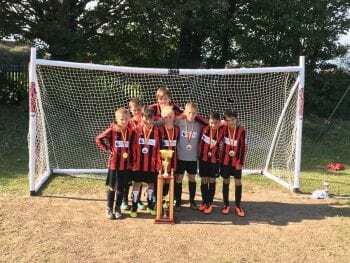 Football Report at Thanet Super Saturday!